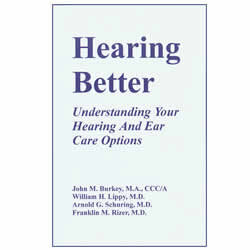 Understanding Your Hearing and Ear Care Options is a simple and informative overview of a person's hearing health alternatives. It introduces the different ear professionals, explains their qualifications and services they render. 161 pages.